Positron emission tomography is used to study the activity of cells inside the human body. It provides the information on biological activity inside human body in a non-invasive way. Positron emission tomography produces image of the body by detecting the radiation emitted by the radioactive substances which are injected inside the body. These substances are usually radioactive atoms such as carbon-11, fluorine-18, oxygen-15 or nitrogen-13. Global positron emission tomography scanner market was valued at USD 905 million in 2015; the market is anticipated to reach USD 940 million by the end of 2016 witnessing a compound annual growth rate of 5.2% over the forecast period. Oncology application segment is anticipated to project a market share of 85% by the end of 2016 and cardiology application segment is estimated to account for 6% of the global market share by the end of 2016. 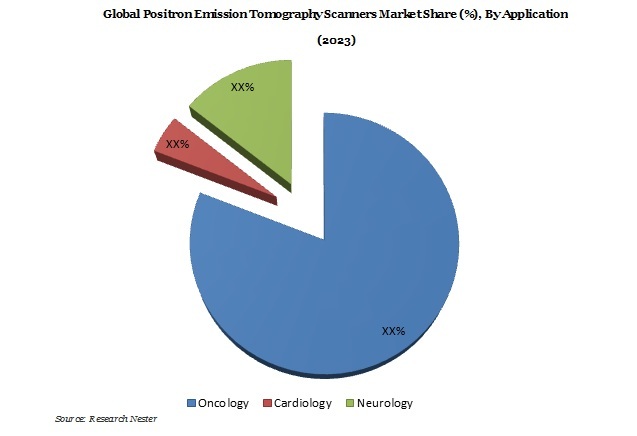 Asia-Pacific positron emission tomography scanner market is expected to reach USD 135 million by the end of 2016 owing to a large pool of patients suffering from various cancers, neurological and cardiovascular diseases. The market is anticipated to project a compound annual growth rate of 5.5% over the forecast period. Positron emission tomography scanner is a popular medical treatment process because it can provide researchers with metabolic data about disease status. Positron emission tomography has been proved successful in detecting tumours often before they are visible through other conventional examinations. PET can also provide early information about heart disease and neurological disorders such as Alzheimer’s, Parkinson’s, epilepsy and dementia. Combination of PET with other imaging equipment such as MRI,CT scan and X-ray provides high-resolution images to study physiological behaviour of the body. Rising demand for advanced diagnostic techniques, increased application of positron emission tomography scanner in various medical practices such as oncology are some of the factors expected to boost market growth over the forecast period. Increasing aging population has led to higher incidences of diseases such as cancer and heart diseases; PET scanner is an effective medical practice to treat patients with these diseases. This will further boost the demand of PET scanners across the globe. Introduction of technological advanced PET scanners which provide increased granularity in imaging, huge storage capacity and high efficiency in the process, are factors anticipated to boost the market growth over the forecast period. Short life-span of the scanner, high cost associated with the product and low supply of radiopharmaceuticals are some factors that can restrain the market growth over the forecast period.